Waikiki Beach is often called the Heart of Honolulu. Originally a marshland only enjoyed by Hawaiian royalty, this 1.5-mile white sand beach is now the central hub of Hawaiian tourism. While some complain that the area has become overly commercialized, that doesn’t stop the millions of tourists from visiting Waikiki Beach every year. The best way to prepare yourself for what this destination has to offer is to do your research beforehand. This article will go through the top Waikiki Beach attractions so you can better plan your Hawaiian travel itinerary. Of all the Waikiki Beach attractions, the most obvious place to visit is, well, the beach! Or rather, we should say Waikiki’s beaches. Many people aren’t aware that Waikiki Beach is actually a series of several beaches. These beaches (from west to east) are as follows: Kahanamoku Beach, Fort DeRussy Beach, Royal Moana Beach, Kuhio Beach, Queens Surf Beach, and San Souci Beach. The most popular thing to do on these beaches is to surf. Many people first learn how to ride the waves on Waikiki. If you don’t feel like surfing, you could play some water sports, walk along the beaches, or just lounge in the sun. Located at the far east of Waikiki Beach, Diamond Head Crater (aka Le’ahi) is an inactive volcano cone that has become the unofficial symbol of Honolulu. You can check out this crater by taking the hiking trail at Diamond Head State Monument. Not only will you get a great view of Diamond Head, you’ll also get some stunning views of Waikiki from this vantage point. 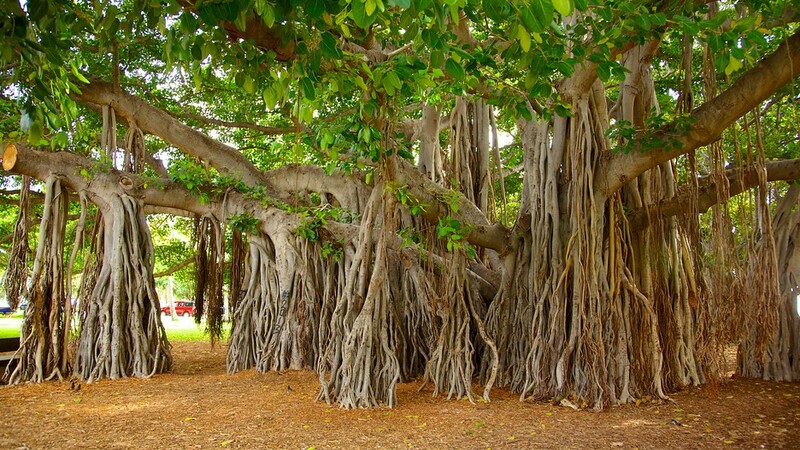 Once you’re done on the beaches, why not take a look at Waikiki’s beloved public park: Kapiolani Park. King Kalākaua built Hawaii’s first public park at the foot of Diamond Head mainly to be used as a horseracing track. Officially opened in 1877, Kapiolani Park is still the largest public park in the entire state at 300 acres. This park is now home to the Honolulu Zoo, Waikiki Aquarium, and the beautiful Queen Kapiolani Garden. In case you were wondering, Kapiolani Napelakapuokakaʻe was King Kalākaua’s wife. If you’re traveling with children, the best place to visit is the Honolulu Zoo. The Honolulu Zoo is open from 9AM – 4:30PM every day and has loads of exotic animals to check out. After exploring the zoo, you’re only a short walk away from the Waikiki Aquarium, which is open from 9AM – 5PM. There’s also the Waikiki Shell Amphitheatre in this park which hosts numerous events throughout the year. All of these Waikiki Beach attractions are sure to keep your little ones engaged and entertained on your trip to Honolulu. Don’t worry, there are plenty of Waikiki Beach attractions to get a good dose of retail therapy. First, visit the huge open-air mall called the International Market Place in central Waikiki. This shopping center, which has around 90 different restaurants and stores, is open from 10AM – 10PM every day of the week. A few popular stores you’ll find here include Saks Fifth Avenue, Swarovski, and GameStop. Once you’re done at the International Market Place, take a five minute walk to the Royal Hawaiian Shopping Center. This trendy indoor mall has stores such as Forever 21, Rolex, Zumiez, and even a Disney Vacation Club. A few restaurants you can visit here include P. F. Chang’s, the Cheesecake Factory, and Wolfgang’s Steakhouse. Just so you know, this shopping mall is on Kalakaua Avenue, which is a major one-mile road in Honolulu. Take your time exploring all the restaurants, hotels, and boutiques that line this fabulous street. The best place in Waikiki for people interested in history is the US Army Museum of Hawaii. While this museum is relatively small, it has a ton of weapons and uniforms from American and native Hawaiian soldiers. You can find this museum in Fort Derussy Beach Park, which is alongside Kahanamoku Beach. This museum is open 10AM – 5PM on weekdays. The main airport in Honolulu is the Daniel K. Inouye International Airport (HNL). As you could imagine, HNL is extremely busy, especially during high tourist season. At any given moment, there are at least 10,000 people in this large airport. You should have no problems flying into this airport from American hubs like Los Angeles or Atlanta. Major American airlines that come into HNL include United Airlines, Virgin America, Delta, and American Airlines. International tourists traveling from countries on the Pacific Rim have a very easy time traveling direct to HNL. Travelers who live in Europe, however, usually have to make at least one stop at Los Angeles International Airport before arriving in Honolulu. Some major international airlines that fly into HNL daily include Philippines Airlines, Korean Air, and China Airlines. Once you arrive, there are a few ways you can get from HNL to Waikiki Beach. One of the most popular methods is to take the Airport Waikiki Express, which only costs around $9 per person. These coach buses take tourists straight to their hotels in the Waikiki area. There are also city buses you can take to Waikiki, but most of these don’t have a great deal of luggage space. If you’re taking a rental car, look for signs that point in the direction of I-H-1 East. Follow I-H1 E onto Punahou Street and then take Exit 23. After taking this exit, just follow the road towards Waikiki Beach. It should only be a 15-minute drive from HNL to Waikiki Beach. As you can see, there are tons of Waikiki Beach activities for people of all ages. Whether you want to shop, dine, or just relax, you should find something to suit your fancy on this list. Don’t let the large crowds dissuade you from visiting this world-famous beach. 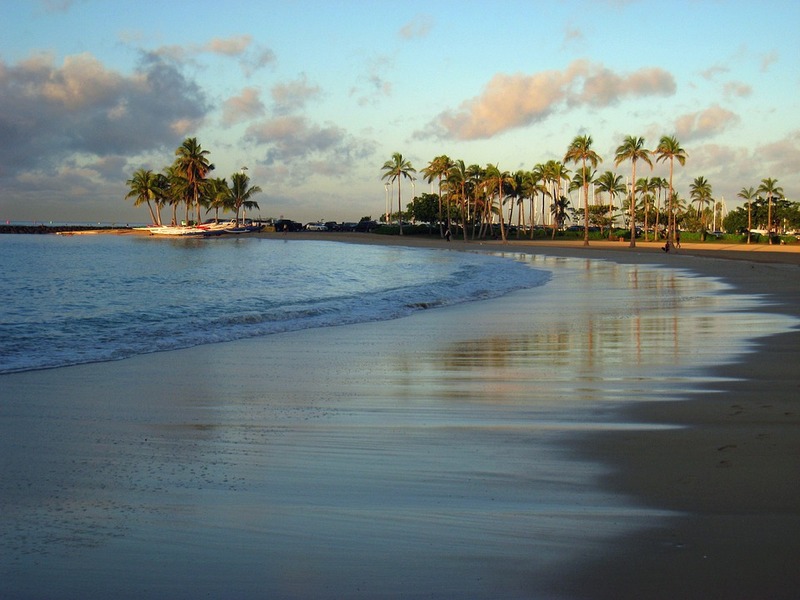 There’s a reason why Hawaii’s tourism industry was built around this gorgeous stretch of sand. So, what are you waiting for? Pick a few Waikiki Beach attractions that interest you and book your plane ride to the Aloha State right now!